With 30 years of International Business Experience under our Entrepreneur Parimal Doshi, Paarichem Resources has developed network & Sourcing from the best Manufacturers & global companies of the world. This has laid the foundation for developing the exports business of our Company. The Exports Team of Paarichem Resources, under the leadership of our Export Manager Mr. PENIL DOSHI, has strived to supply Brilliant Quality Chemicals to Developed & Developing Economies in all parts of the world so far. Our supreme sourcing brings us a price & supplier relationship advantage, which makes our material Cost Effective & we pass this advantage to our customers. This is because; we have a fully dedicated team of co-coordinators, which ensures we maintain a good quality of service we provide. 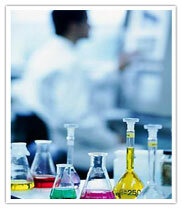 We are also able to co-operate because of our Versatility in providing Chemicals. We Export Cargos on diverse terms: FCL Basis, LCL Basis, Bulk Basis, Monthly Business etc. We are also involved in certain, Quarterly Shipment Contracts & Yearly Contracts. We welcome our customers to our office & our country, to discuss business & have a good holiday at the same time. Our main interest is to establish our Company in several global markets, for doing a long term business. Our Idea is, we want to offer the best service to ensure the customer is content with the chemical quality, with our service quality & we also make some money in the transaction. Our Ethics : We always respect our customer & his market. If we make money, we ensure he also does so & we will not break his trust. We are Interested in Long Term Business : So we are genuinely interested to co-operate for business & our payment terms will ease out over the transactions. We are striving hard to ensure, the customer enjoys the service & offers we provide, chemicals we export, so that we can hopefully co-operate regularly with him. We encourage SGS/Material testing at the loading destination, before shipment, to ensure the customer is satisfied & develops trust eventually. Our Sourcing is an advantage our Customers will get. We welcome business from any country with a positive interest for business. Your Inquiry is most welcome here & we will respond to the same, within 24 hours of receiving it.